A website that checks claims, myths, rumors and misinformation in order to provide accurate information on a variety of topics. A fact-checking website that looks into claims made by politicians. A project of the Annenberg Public Policy Center that focuses on clarifying political claims. Open Secrets is a nonpartisan, independent and nonprofit, run by the Center for Responsive Politics. The group focuses on reporting political donations. AllSides provides multiple different views of the same story which allows for a much rounder picture of the subject. Instead of just news from the right or left, AllSides covers every side, including the middle. 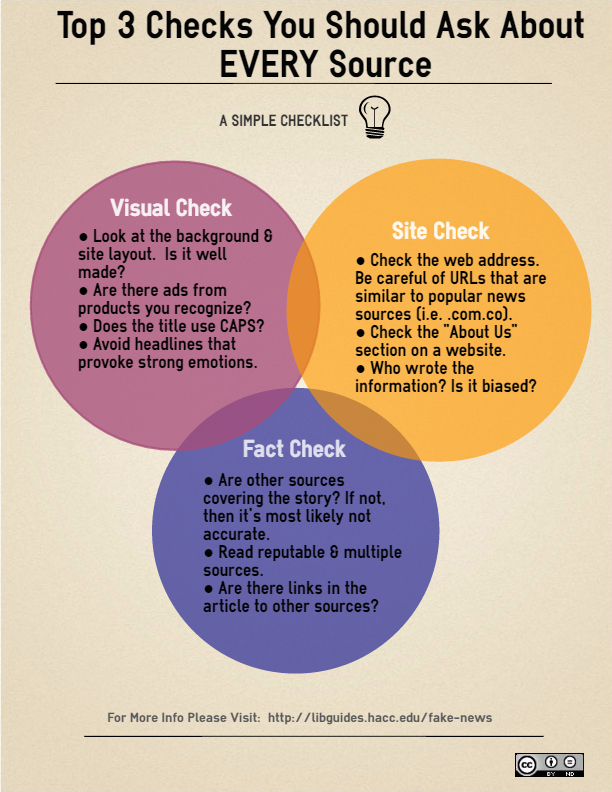 Media Bias/Fact Check is an independent website that educates the public on bias in the media. When you search for information, you're going to find lots of it . . . but is it good information? You will have to determine that for yourself, and the CRAAP Test can help. 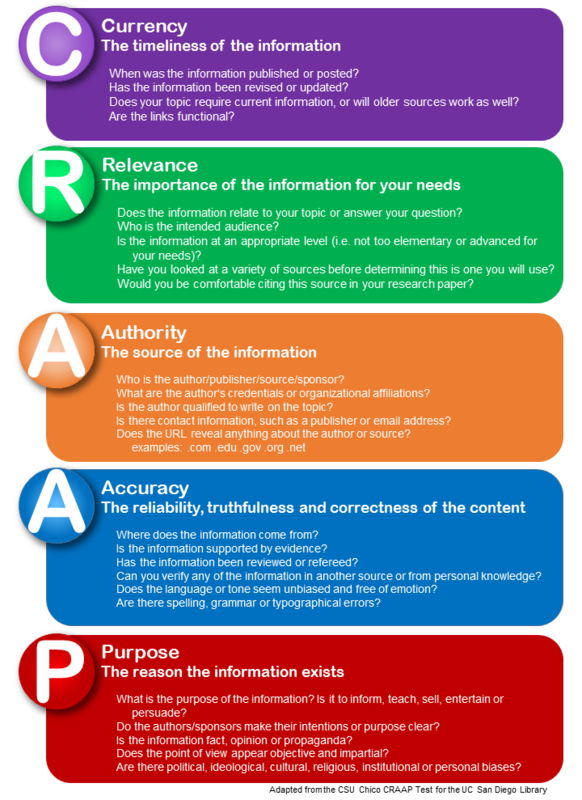 The CRAAP Test is a list of questions to help you evaluate the information you find. Different criteria will be more or less important depending on your situation or need.